Key benchmark indices extended intraday gains in early afternoon trade, with the Sensex striking fresh record high. At 12:26 IST, the barometer index, the S&P BSE Sensex, was up 78.21 points or 0.21% at 36,903.31. The Nifty 50 index was up 10.10 points or 0.09% at 11,144.40. Most capital goods stocks rose. Shares of index heavyweight and housing finance major HDFC gained. Gains were boosted by data showing that FPIs and DIIs, both, were net buyers of equities yesterday, 24 July 2018. A bout of volatility was seen in early trade as stocks regained positive zone soon after erasing intraday gains. 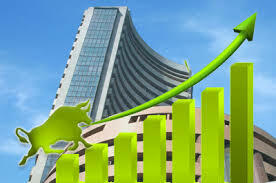 A divergent trend was witnessed in morning trade as the barometer index, the S&P BSE Sensex, was trading with small gains while the Nifty 50 index was trading with minor losses. Divergent trend continued in mid-morning trade. The S&P BSE Mid-Cap index was up 0.31%. The S&P BSE Small-Cap index was up 0.62%. Both these indices outperformed the Sensex. The market breadth, indicating the overall health of the market, was positive. On the BSE, 1345 shares rose and 988 shares fell. A total of 136 shares were unchanged. Shares of index heavyweight and housing finance major HDFC gained 1% to Rs 1,998.95. Most capital goods stocks rose.  Bharat Heavy Electricals (Bhel) (up 1.91%), BEML (up 0.77%), L&T (up 0.39%), Siemens (up 0.16%) and Thermax (up 0.63%) gained. Punj Lloyd (down 4.45%), Bharat Electronics (down 3.13%) and ABB India (down 0.1%) fell. Maruti Suzuki India shed 0.51%. Maruti Suzuki India will proactively and voluntarily undertake a recall for new Swift and new Dzire models to inspect for a possible fault in the Airbag Controller Unit. 1,279 vehicles (566 new Swift and 713 new Dzire) manufactured between 7 May 2018 and 5 July 2018 will be covered in this campaign. Recall campaigns are undertaken globally to rectify faults that may be potential safety defects. The announcement was made during market hours today, 25 July 2018. Symphony fell 16.65% after consolidated net profit fell 48.72% to Rs 20 crore on 23.16% decline in net sales to Rs 146 crore in Q1 June 2018 over Q1 June 2017. The result was announced after market hours yesterday, 24 July 2018. Music Broadcast rose 1.2% to Rs 304. Music Broadcast said it will purchase its fully paid up equity shares of face value of Rs 10 each, at a maximum price of Rs 385 per share. The buyback shall not exceed Rs 57 crore, representing 9.87% of the aggregate of total paid-up equity share capital and free reserves of the company based on audited financial statements of Company as on 31 March 2018. The announcement was made after market hours yesterday, 24 July 2018. Overseas, most Asian stocks were trading lower. Meanwhile, Beijing on Tuesday reportedly signalled that it would shift to a looser fiscal policy in a bid to protect the world's second largest economy from the impact of an escalating trade row with Washington. US equity benchmarks finished Tuesday mostly higher, led by technology and health-care companies. On the trade front, focus is on talks between US President Donald Trump and European Commission President Jean-Claude Juncker set later on Wednesday, at which trade issues are likely to dominate.